Time is always ticking away as Kornheiser and Wilbon haggle their way through an on-screen ticker of sports topics. Two minutes per argument and rebuttal makes for a fast-paced and quick-witted show delivering candid insight. In every episode of the critically acclaimed show, the pair also interview a sports newsmaker. Then, before they sign off, PTI researcher and Around the Horn host Tony Reali corrects any statistical fouls Kornheiser and Wilbon made in the heat of battle. 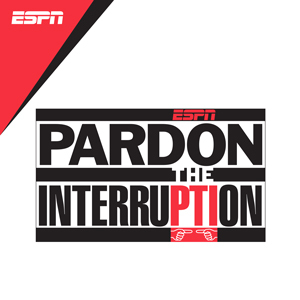 Embed a widget to record Pardon the Interruption (ESPN) in your website - click here for more details.